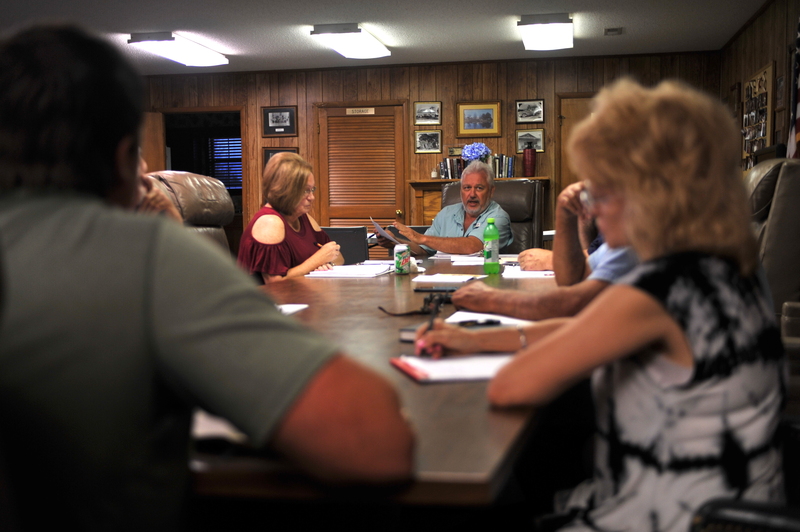 FAIRVIEW – The Fairview Town Council discussed walking track improvements and new signage, among other town business, at its meeting Monday night. Council members approved a motion to fill cracks in the pavement of the walking track at the community park. The council said it would like to get the issue resolved before winter cold adds to the problem. Mayor Keith Henry presented the council with mock-ups of signage for the town developed by a sign company in Cullman. The signs include welcome signs and signs for the ball fields. The council chose to change the prospective new signs from 4 feet by 4 feet to a less square size for aesthetic appeal. Council members approved the purchase of the new signs with the change in size. Henry also informed the council of the amount of sales tax that will be lost due to Berlin's recent incorporation. He said the Town will lose $7,000 in sales tax, which is lower than the mayor's expectation of $15,000. Council members discussed a complaint from a Cullman County bus driver concerning tree limbs overreaching on Brock Street. The consensus of the council was to look into a way to get the trees trimmed. The council also discussed adding new field lines to the park land behind Pizza Done Right. Council members approved a motion to pay Town bills. The Fairview Town Council meets on the first Monday of each month at 7 p.m. at Fairview Town Hall. The public is invited to attend.